How do I find the central atom of an Electron Dot Structure (Lewis Structure)? Many different teachers have many different styles for teaching this first step. I will show you the three I like most and then I will let you choose. Method 1: The easiest to teach and understand is have you memorize a list of elements. That list is; C, Si, N, P, S, O. These elements are also in priority order. So if you have covalent compound with C and P then C is the central atom because it comes first on the list. This list will cover your needs on about 95% of questions you encounter for electron dot structures (Lewis Structures). I usually prefer to teach my students this way at first to just get them rolling in the right direction. Later we can discuss the exceptions or elements that fall outside of the list. Method 2: the element that is the least numerous in the compound. That means if you have something like BF3, then the B is the central atom. I understand why people use this method, it is so easy to think about, but the problem becomes that many electron dot structures (Lewis structures) will have only one of several different elements. For Example, HCN. Which one is the central? With method 2 you cannot tell. Method 2 will cover your needs about 80% of the time. Method 3: the element with the lowest electronegativity will be the central atom (The exception is H. Hydrogen will never be the central atom except in the molecule H2.). I love this method, but it requires that the student knows and understands electronegativity. So if the student has forgotten about electronegativity or has trouble remembering the electronegativity trend then it will be a difficult method for them to use. This method will cover your needs about 99% of the time. Examples: Find the central atom in the electron dot structure (Lewis Structure) using the method you find best. 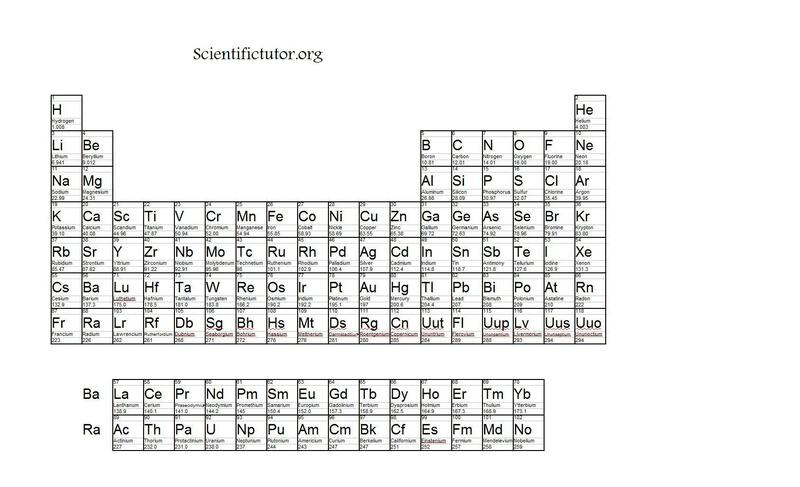 Here is an Electronegativity Table. VIDEO Finding the Central Atom of an Electron Dot Structure (Lewis Structure) Examples. PRACTICE PROBLEMS: Find the central atom in the electron dot structure (Lewis Structure) using the method you find best. 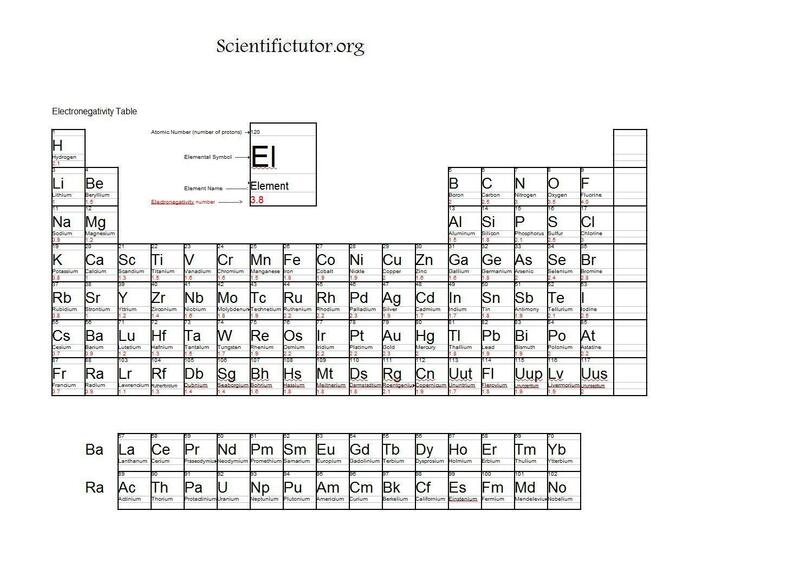 Here is a regular periodic table but you can use an Electronegativity Table if you must.